Preheat the oven to 450 degrees F. Line a baking sheet with aluminum foil and coat with olive oil. 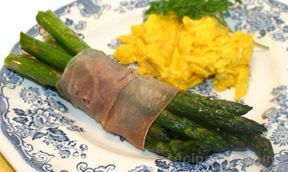 Wrap one slice of prosciutto around each asparagus spear, starting at the bottom, and spiraling up to the tip. Place the wrapped spears on the prepared baking sheet. Bake for 5 min. in the preheated oven. Remove and shake the pan back and forth to roll the spears over. 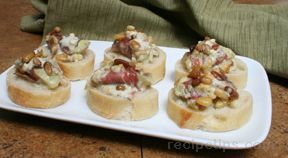 Return to the oven for another 5 min., or until asparagus is tender and prosciutto is crisp. Serve immediately.